Kirsten Wolf, Esq., of Mackenzie Wolf Literary, manages contracts for Emerald City Literary Agency. Kirsten is a graduate of University of Massachusetts Amherst and Boston University School of Law. 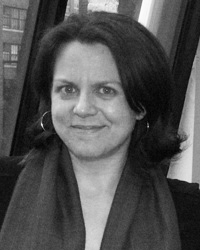 A native of Boston, MA, Kirsten relocated to New York in 2003 and began her career in publishing. After several years as an assistant, associate agent, and contracts manager, Kirsten founded Wolf Literary Services, a literary agency and consulting company, in 2008. As Wolf Literary has grown over a decade in business, Kirsten has become a trusted and invaluable resource for numerous companies throughout the industry. Kirsten now brings that wealth of experience to MacKenzie Wolf, as the head of the consulting division and the legal and financial guru of the team. Currently dedicating her time to consulting for media agencies, publishers, and independent artists, Kirsten prides herself on guiding her clients through the confusing, confrontational, and sometimes downright dull parts of the media world in the most painless way possible, while always making sure that the client is assured their interests are being safely looked after.